People celebrate local beer, cheese, clothes, and vegetables, but the ultimate local product has always been language. 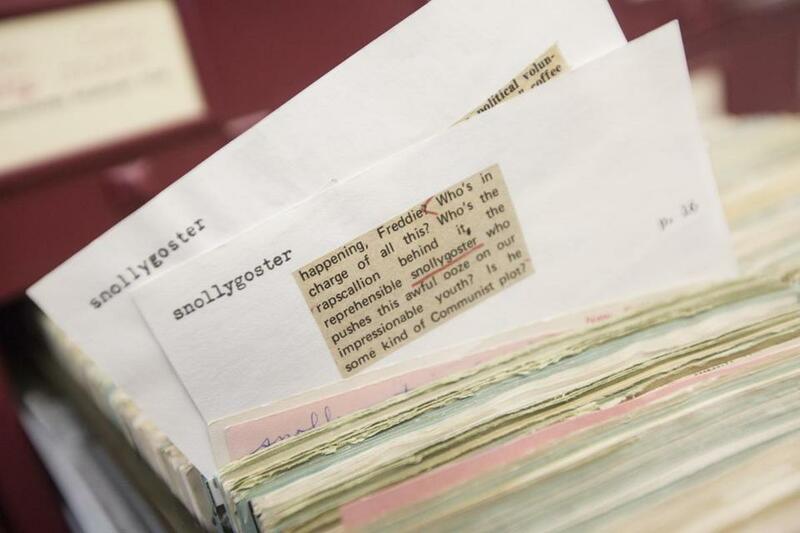 Since 1965, the Dictionary of American Regional English has recorded lexical items that are the opposite of nationwide: terms limited to a region or two. Unfortunately, the dictionary — known as DARE — has run out of funding and won’t be adding much to its huge body of data for the foreseeable future; in recent weeks, as this reality has set in, there’s been a small outpouring of tributes to the dictionary. For better or worse, our recent fixation on local character doesn’t guarantee a flow of money to keep documenting it. That ultra-specific question was one of 1,600 that comprised the DARE questionnaire, covering every topic imaginable. Back in 1965, DARE’s field workers — graduate students in linguistics under the direction of founder Frederic G. Cassidy, a University of Wisconsin professor — traveled to over a thousand communities across the country in “Word Wagons,” lugging humongous reel-to-reel recorders. These lengthy, one-on-one interviews provided the meat of DARE’s impressive body of entries. The six volumes of DARE were published between 1985 and 2013 — a slow timeline even for a massive dictionary, but the project was more a labor of love than a rigid business. Chief editor Joan Hall, who took over for Cassidy in 2000, said in a phone interview that the dictionary has faced “crisis after crisis” and has often been “hanging on by our fingernails.” She said the drive to get the dictionary to Z — the “Onward to Z” campaign — generated a lot of support. But the final print volume was finished a few years ago, and the same enthusiasm just isn’t there for updates and additions. The digital form of DARE, which debuted in 2014, will remain available to subscribers, Hall said, along with sporadic updates under new chief editor George Goebel. DARE’s wealth of words not only shows the differences between regions but the similarities, which can be reassuring in these divided times. Even now, the dictionary has the potential to inform and dazzle anyone with an interest in language or America. It’s a testament to the diverse creativity of both.